Mona Siddiqui, MD will focus on data sharing culture and the findings from a soon-to-be-released report on the initiative's first phase. The rise in big data has rocked nearly every sector from education to consumer tech, and in particular healthcare. But connecting the dots between the data sources has been a major hurtle in innovation. This is especially true when it comes to the government. The US government’s extensive stores of data are often siloed in different agencies and even departments. A tradition of government bureaucracy has often been credited with the lack of source sharing. 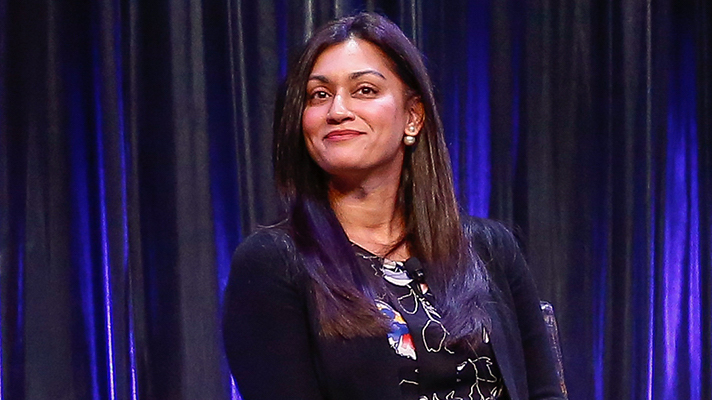 But ever since the Obama administration, HHS has been working on initiatives to “unleash the data” both across departments and in collaboration with the private sector, according to Mona Siddiqui, MD chief data officer at the HHS. Now the department is starting to reflect on results of this initiative and how it could be improved in the future. At Health 2.0 in September, Siddiqui will be presenting at a Government Town Hall event. Here she plans to discuss the data sharing culture and talk about the findings of a soon to be released report about the first phase of the initiative. The new paper is set to include interviews from stakeholders both in the public and private sector. Now years into the data sharing initiative, Siddiqui says culture is the biggest factor. Since sharing information has become more commonplace across departments the conversation is going one step further. Creating the culture of sharing has meant a lot of “boots on the ground” type of work from Siddiqui and her team. Post initial cultural shift, she has been out talking to different departments in the agency about what an ideal data sharing culture and system would look like. “Talking about barriers is an easy way out, but 'How do we change people’s mindsets and get them to collaborate in a more strategic way' is the harder thing to accomplish in an organization that is more than 80,000 individuals [and] that has been siloed over time, for some very good reasons in cases. That is the biggest challenge for us,” Siddiqui said. But it isn’t just the government involved in this data collaboration; it is also the private sector. In fact HHS has frequently reached out to the private sector to help it tackle some of the most challenging problems. In December HHS hosted a code-a-thon to address the opioid crisis. Innovators from across the country were invited to compete for one of three $10,000 prizes and contribute ideas towards solving the epidemic. Developers were encouraged to use the open data to help create their products. As for the future, Siddiqui said her team is looking to help build a collaborative infrastructure that is sustainable.